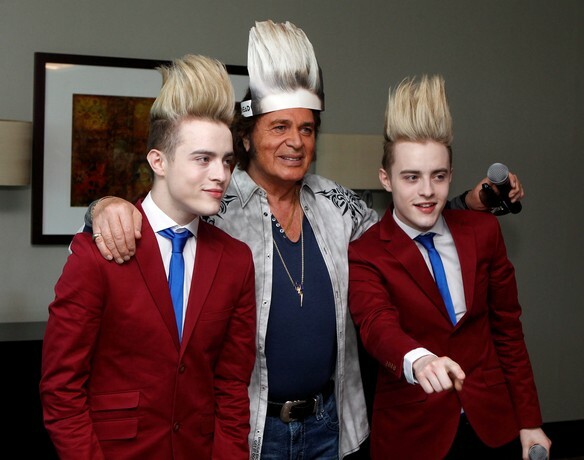 More about when Engelbert met John and Edward! In the 2012 Eurovision Song Contest in Baku, contestants Englbert Humperdinct and Jedward (John and Edward Grimes) met for the first time and an unlikely friendship was formed. Recently Englbert tweeted this upon hearing the news that the talented twins will visiting his home town of Leicester in September, as part of the UK leg of their Young Love tour.